The We Divest Campaign, a national coalition demanding pension fund giant TIAA-CREF divest from companies that profit from Israel’s occupation of Palestinian lands, is intensifying its call for divestment from Caterpillar Inc. in the wake of an Israeli court ruling today siding with the government in the civil court case brought by the Corrie family. The case alleged that the State of Israel was responsible for the killing of 23-year-old American peace activist Rachel Corrie, who was crushed to death by a Caterpillar bulldozer as she attempted to use nonviolent civil disobedience to stop the destruction of Palestinian homes by the Israeli army in Gaza in March 2003. The court’s decision followed an Israeli investigation that the US ambassador to Israel recently criticized as lacking credibility. In a series of actions timed to coincide with the issuing of the verdict, human rights advocates in cities across the US will protest in front of local TIAA-CREF offices this week and deliver a letter urging trustees to divest fully from Caterpillar and other companies that profit from Israeli human rights abuses in the occupied Palestinian territories. The We Divest Campaign is supported by the Corrie family and the Rachel Corrie Foundation. While TIAA-CREF recently dropped $72 million worth of Caterpillar shares from its social choice funds, following the lead of ethical investment ratings agency MSCI, which downgraded Caterpillar in February in part over concerns about the use of the company’s products by the Israeli military, it continues to invest over $1 billion in Caterpillar through its general fund. The We Divest Campaign is a national coalition initiated by Jewish Voice for Peace in July 2010 and includes the American Friends Service Committee, Adalah-NY, Grassroots International, the US Palestinian Community Network, and the US Campaign to End the Israeli Occupation. Haaretz reported earlier this week the case of Staff Sgt. S of the IDF who had been accused of killing Ria Abu Hajaj, 64, and her daughter Majda, 37, as they were waving a white flag in Gaza during the first day of Israel's Opration Cast Lead. The soldier's lawyers claimed that there was no proven connection between him and the killings and eventually reached a plea bargain with the military advocate general. Staff Sgt S will thus be convicted of the relatively light offense of the illegal use of a weapon and sentenced to a mere 45 days in prison. This verdict, in relieving an Israeli soldier of any true responsibility for a heinous war crime, flies in the face of Obama's assertion that Israeli military investigations into their own alleged crimes are sufficient to provide justice. Indeed, even when an American citizen was killed by the IDF in last year's flotilla raid, Obama left the investigation into any wrongdoing up to the Israel and no indictments were brought against Israeli military personnel. Perhaps more troubling, Israel's military investigation into the war crimes brought to light by the Goldstone Report has resulted in a mere three indictments, including that of Staff Sgt S. For example, no legal action has been taken regarding the killing of 21 members of the Samouni family during the invasion. 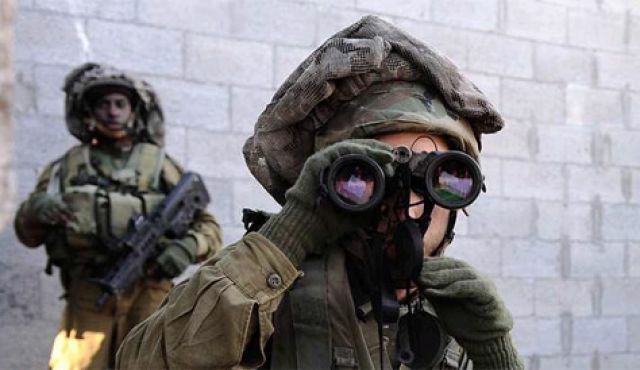 It is clear that the Israeli military has failed to sufficiently investigate accusations of its own wrongdoing, and the global community, including the United States, must apply more pressure to hold Israel legally accountable. Further, as Israel has failed to thoroughly investigate and punish its own war crimes, the United States should reconsider its policy of unconditionally arming the Israeli military with over three billion dollars in military aid per year. It is time that American-bought weapons stop being used to commit crimes against Palestinians and those who stand with them. Want to find out how much your community sends to buy weapons for the Israeli military? Check out our military aid database and get involved by telling your representatives to fund community needs instead of Israel's crimes! Military advocate general reaches plea bargain in the most significant event mentioned in UN Goldstone Report; Givati soldier was accused of shooting women who raised white flag. "A soldier accused of killing two women who waved a white flag during the "Cast Lead" operation in Gaza reached a plea bargain with the military advocate general and will be jailed for 45 days. The agreement will be submitted today to the Jaffa military court, after negotiations between MAG and the soldier's attorneys. The soldier, Staff Sgt. S', from Givati Brigade will be convicted of a relatively light offense - illegal use of weapons..."
August in DC is pretty quiet as Congress goes on recess, summer interns go home, and tourist season winds down. But things in the US Campaign office are getting busier as we prepare for our 11th Annual National Organizers' Conference next month! We hope you will join us September 21-23 at St. Louis University. If you still need some convincing, we came up with 10 reasons you should attend the conference. You probably have your own reasons to come, which is why you should register today then invite your friends and followers! 10. Build up your organizing skills by attending workshops put on by our member groups. Check out the workshops lined up so far! 9. Connect with US Campaign staff and Steering Committee members face-to-face. We would love to meet you in person! 8. Take your BDS campaign to the next level with a training led by Dalit Baum, co-founder of Who Profits from the Occupation. 7. Are you a student? Sign up to volunteer and we'll offer you a discount on your registration fee. Just email membership@endtheoccupation.org! 6. Honor an activist for their astounding work for peace and justice with the Damu Smith Award. Damu, who was born in St. Louis, was an internationally renowned activist, founder of Black Voices for Peace, and supporter of Palestinian rights. 5. St. Louis is also the hometown of our National Organizer Anna Baltzer and Hedy Epstein, another longtime advocate of human rights. 4. Shape the future of the US Campaign by nominating and electing Steering Committee members. 3. Find out about The Do's and Don'ts of Palestine from poet and activist Remi Kanazi. 2. Network with Palestine activists from across the country and get ideas about how you can strengthen your work back home. 1. Be inspired by experiencing the work of the US Campaign and our nearly 400 member groups to change U.S. policy toward Palestine/Israel to support human rights, international law, and equality. Register today because special registration for $80 and conference hotel rates are only guaranteed until August 31! US Campaign member group The Rachel Corrie Foundation has requested worldwide action against Israeli occupation and home demolitions to mark the August 28th verdict in the Corrie family's civil suit against the Israel Ministry of Defense. The case, over 7 years in the making, seeks some measure of justice for the 2003 death of American peace activist Rachel Corrie at the hands of the Israeli military in Gaza. Please support this call, which is rooted in the Foundation's mission: "Inspired by Rachel's work and her belief that all Israelis and Palestinians deserve to live in peace with dignity and equality." Mark the Verdict in the Corrie Civil Case in Israel - August 28th! The Corries are on their way to Haifa for the verdict in their civil lawsuit later this month. We call on you to act in support. For ten years, you have remembered Rachel Corrie and followed the work of her family and many others to pursue accountability and justice in her case. You stood with the Corries when the Israeli Government failed to take responsibility for Rachel's killing by the Israeli military in 2003. You stood with the Corries when the U.S. Government was largely ineffective, despite their finding that the Israeli military police investigation of Rachel's killing did not meet standards of being "thorough, credible, and transparent." Seeking every possible avenue to push for transparency and accountability, and on advice of the U.S. Government, the Corrie family brought a civil lawsuit against the Israel Ministry of Defense and State. Now, nearly 7 1/2 years since the case was filed and nearly 2 1/2 years since the trial in Haifa District Court began, we ask you to continue to stand with the Corries as a verdict is announced the morning of August 28th in the courtroom of Judge Oded Gershon. To seek a just peace in the Middle East and an end to the 45-year Israeli occupation of the West Bank, Gaza, and East Jerusalem. To bring visibility to the oppression but also to the spirit and endurance of the people of Gaza and all Palestinians. To bring attention to the responsibility we all have for the continuing injustices and human rights abuses in Palestine, and for the particular culpability of corporate America and U.S. taxpayers. To end Israel's impunity regarding human rights violations, including home demolitions. The Israeli policy of home demolitions, sometimes extending to entire villages, remains as urgent an issue now as it did when Rachel defended homes in Rafah, Gaza. Palestinians in Jerusalem, the Jordan Valley and Hebron Hills live daily with the threat (or reality) of their homes being confiscated or turned into rubble. More than 1,000 houses were demolished in the Naqab alone in 2011, and the Prawer Plan, approved by the Israeli Government in September 2011, will lead to further displacement of 70,000 people. We call on you individually and as organizations to mark the week of the trial verdict with actions to end the housing demolitions that deny Palestinians the basic human right to be secure in their homes. We are inspired by the incredible work Israeli and Palestinian activists do to challenge home demolitions and confiscations. We encourage any actions organized the week of the verdict to include Rachel's memory and spirit. You can include Rachel's image by printing this poster of her in Rafah, Gaza Strip. Register your planned action here and we will post it to our website. Send photos or videos of your action to info@rachelcorriefoundation.org. For information about further actions planned, contact Jen atdonkeysaddle@gmail.com. We can impact home demolitions by removing support from companies that profit from Israel's occupation and home demolition policies. The We Divestcampaign to pressure investment firm TIAA-CREF to divest from such companies is a promising effort to end U.S. complicity in the occupation. Caterpillar Inc. is one of these companies. It profits from destruction wreaked upon Palestinian families, their farms, and their economy using CAT equipment. Rachel was killed beneath a Caterpillar D9 weaponized bulldozer as she tried to protect the home of a Palestinian family. While TIAA-CREF recently removed CAT in its Social Choice accounts, it still holds over a billion dollars of CAT stock. From Sunday, August 26th until Sunday, September 2nd, deliver letters to TIAA-CREF offices, and remember Rachel as you do. Combine this with a larger event, or designate a few people to do the delivery. Register your planned action here so we can post it to our website, and we will e-mail you a poster to use of a Palestinian family impacted by demolitions using CAT equipment. Can you help us exceed our goal of delivering letters to half of the 60 TIAA-CREF offices? Download a copy of our sample TIAA-CREF letter. Send us photos and videos from your actions, and we will launch a nationwide social media campaign with images that show the level of support for TIAA-CREF divestment. Print this image of Rachel. Photograph yourself with it, and post it on our new Tumblr blog. Deliver the photo to the nearest Israeli Consulate demanding accountability and an end to home demolitions. We will gather images worldwide and also send them to the U.S. Department of State. Take part in a live conference call with the Corrie family, Wednesday, August 29th, 6:30 p.m. Pacific Daylight Time/ 9:30 p.m. Eastern Daylight Time. To participate in the call, RSVP to rochelle@rachelcorriefoundation.org. Host a house party or community gathering for those who want to join the call. Sign this petition in support of the campaign to pressure TIAA-CREF to divest. We encourage you, too, to use your creativity to take a stand against home demolitions now. Register your planned action here so we can post it on our website. Please send photos and videos of your action toinfo@rachelcorriefoundation.org. We invite all our friends and allies to share reflections on Rachel's stand on twitter with the hashtag #RememberRachel. Together, we can seize the moment. We can tell Rachel's story. Most of all, we can cry out with her message of equality and human rights and for her call to end home demolitions and the Israeli occupation! Thank you for your support as together we build the global movement for Palestinian human rights! 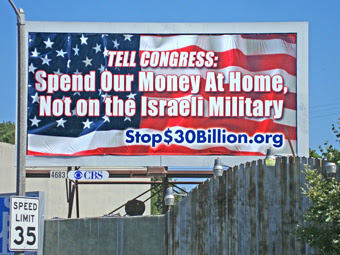 Billboard from US Campaign Member group Coalition to Stop $30 Billion to Israel in Los Angeles. Ad from US Campaign Member group The Committee for Peace in Israel and Palestine in New York. with ads from pro-Israel groups. 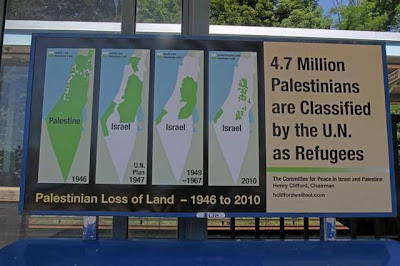 Ad from StandWithUs in New York, which deliberately distorts facts in an attempt to deny Palestinian claims to their lands. Ad from the American Freedom Defense Initiative in San Francisco. It's nice when those who want to deny Palestinian rights put their racism and hate out there for all to see. The local ABC station has a good report on these ads as well as Mondoweiss. Mitt Romney has come under fire for his recent remarks in Jerusalem in which he attributed the higher GDP of Israel when compared to that of Palestinians to "cultural differences" failing to acknowledge Israel's 45-year military occupation of the West Bank, Gaza Strip, and East Jerusalem and its devastating consequences for Palestinians. Our member group Jewish Voice for Peace collected and delivered over 17,000 signatures to Romney's campaign headquarters in Boston asking that he apologize for his remarks. Israel did not make the desert bloom. Instead, thanks to a deal struck with the British viceroys of Mandate Palestine, it made away with a land, a set of institutions and, indeed, a culture that was not its own. It did so at the expense of my people. Like more than three-quarters of Palestine’s population, my family was forced to leave this land after Israel’s creation in 1948. Even though we had to abandon our successful businesses and centuries-old homes, however, we did not become the “uncultured” victims that Romney’s caricature suggests. Most of us went to other Arab countries, where Palestinians became known for our business acumen and management know-how, and helped to build nascent private and public sectors. Ask our fellow Arabs in Lebanon, Jordan or elsewhere in the Persian Gulf region and they will tell you: Palestinian culture, with its premium on education and hard work, has been a force for hope, development and prosperity. Khouri's piece has generated an intense online response. It's critical that supporters of Palestinian rights submit their letters to the editor. Letters should be sent to letters@washpost.com. For verification purposes, please include your name, phone numbers, and address. Keep your letter to under 200 words. In a recent article published by Al Jazeera, Kristen Szremski, US Campaign Steering Committee member, relates the story of a Palestinian agricultural student to discount Mitt Romney's recent assertion that culture is responsible for the economic plight of the Palestinian people. The student, 23 year old Hebron resident Murad Amro, was recently refused an internship by the International Fund for Agricultural Development (IFAD) of the United Nations. Despite his professed desire to "plant peace in the hearts of all people" through the development of sustainable agriculture, Amro was rejected simply because his Palestinian homeland is not recognized as a state by the IFAD. According to Szremski, Amro's challenges are indicative of the systemic roadblocks faced by all Palestinians on the road to economic development under Israeli occupation. In her view, a policy consisting solely of "positive investment" in Palestine by foreign nations and NGOs is one of the largest such roadblocks. Rather than contributing to Palestinian economic development, foreign aid has relieved Israel of its internationally recognized responsibility to provide for the basic welfare of Palestinians living under its occupation. Further, foreign aid is designed to maintain the viability of the "peace process" established by the Oslo Accords of the 1990s, which has long since proved ineffective. In fact, even as Palestinians receive one of the highest rates of aid per capita in the world, The United Nations Relief and Works Agency has reported that inflation and unemployment continue to rise in the Palestinian Territories. While recognizing that foreign aid is part of a solution for Palestinians (some 80% of Gaza citizens rely on food aid because of the Israeli blockade of the region), Szremski argues that it is insufficient without outside pressure for Israel to change its policies. As the international political and diplomatic establishment seems unwilling to apply such pressure, she believes that the best hope for justice in the region lies with BDS. With recent BDS wins such as the divestment by investment giant TIAA-CREF from Caterpillar, Israel is coming under pressure to change its policies. Perhaps most significantly, the stories of young Palestinians dedicated to development such as Murad Amro offer promise for a more just and prosperous Palestine in the years to come. 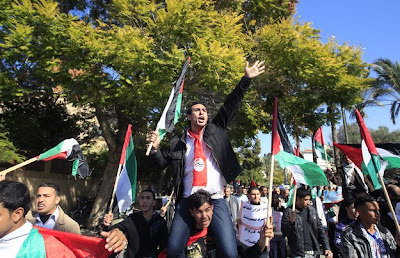 Want to learn more about BDS and how to get involved with Palestine advocacy? Join the US Campaign to End the Israeli Occupation at our 11th Annual Conference this September! "The combined results and fall-out from the Oslo peace accords, Israel's siege on Gaza and the loss of freedom of movement under a military occupation are some of the reasons why the Palestinian economy barely sputters alongside a more robust Israeli one. The anaemic economy has nothing whatsoever to do with a less-than-desirable Palestinian culture, as presumptive Republican presidential candidate Mitt Romney told Israeli guests at a $25,000-a-head fundraiser in Jerusalem on Monday..."
In an article published last week by Foreign Policy, Nadia Hijab, who is a member of the US Campaign Advisory Board, argues that it is time for the world community to rethink its policy of providing foreign aid to Palestine. Though this aid may be well intentioned, Hijab suggests that it serves to prop up oppressive political groups, such as the Palestinian Authority (PA), within Palestine. She points to last month's beatings of peaceful Palestinian protesters at the hands of PA security forces as evidence of such oppression. Hijab further argues that by providing for the most basic needs of Palestinians, foreign aid relieves Israel of its obligation under international law to ensure the welfare of those living under its occupation in the Palestinian territories. Unsurprisingly, Israeli politicians have a history of supporting continued foreign aid to Palestine from the United States and European Union. She points to cases in which USAID funded roads in Palestine have in no way challenged an illegal system of segregated Israeli roads in the West Bank as evidence that aid helps to entrench the Israeli occupation and land grabs. Even those aid-funded projects in Palestine which do not conform to the Israeli occupation regularly face demolition by the Israeli military. Finally, Hijab suggests that most current foreign aid to Palestine operates under the false premise that "sustainable development is possible under prolonged occupation," despite the findings of major aid agencies to the contrary. Clearly, the merit of continued foreign aid to Palestine deserves a serious reevaluation. "Aid" which props up Israeli colonialism is hardly helping the Palestinian people, and indeed runs counter to the establishment of a just, lasting peace in the region. "Foreign aid to Palestine is desperately in need of rethinking. Wittingly or not, external aid facilitates Israel's occupation, enables an inept Palestinian leadership to survive, and subverts much of Palestinian civil society. 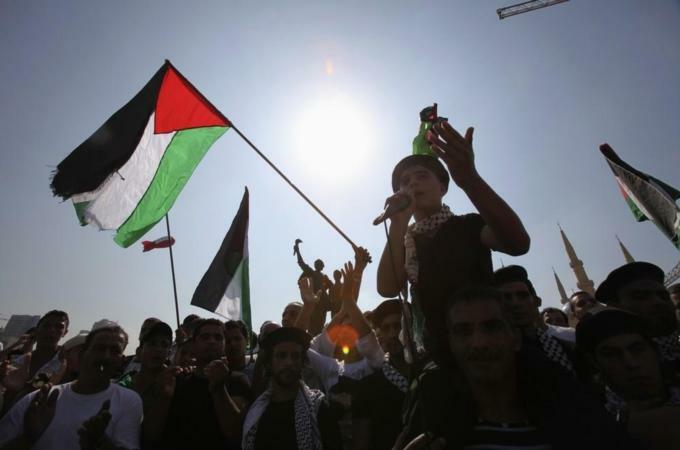 The extent of the dependency on aid means the Palestinian Authority (PA) must spend considerable energy begging for handouts from Arab governments, the European Union, and the United States. Facing a severe cash shortage -- which is not unusual -- the PA was recently unable to pay the salaries on which an estimated one million bureaucrats and their families rely..."
Want to learn more about the challenges facing Palestine and what you can do about them? 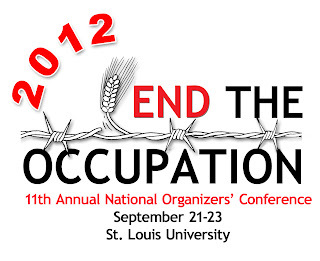 Register for the US Campaign to End the Israeli Occupation's 11th annual conference in St. Louis today! Our speakers will include Dr. Hatem Bazian, Chairman of American Muslims for Palestine, and Phyllis Bennis, Director of the New Internationalism Project at the Institute for Policy Studies. Palestinian-American poet and activist Remi Kanazi, author of Poetic Injustice: Writings on Resistance and Palestine, will also perform. Workshops throughout the weekend will cover topics ranging from Engaging Faith Communities to Campus Activism. Register by August 21st to take advantage of $80 registration and low hotel rates!